Welcome to Walk Weekender – the short break Alpine walking holiday specialist. We are a tour operator based in the stunning Aravis mountain range of the French Alps, offering a choice of walking weekends suitable for individuals, couples, groups and clubs looking to enjoy great hospitality and classic Alpine hiking, in stunning mountain scenery. Our summer calendar features regular 4-day Thursday to Monday weekend breaks in the Aravis / Annecy region of the French Alps; we can also arrange customised walking holidays in the South of France (Provence / Côte d’Azur) for groups of more than 6 people. As an established tour operator with over 15 years’ experience of organising short breaks skiing, cycling and walking, we know how to ensure you can relax, enjoy your time away, and get the most from a short break time hiking and exploring majestic mountain scenery. With all our holidays, the aim is to ensure you have the most convenient, hassle-free short break possible. Our location in the Aravis is just an hour away from Geneva airport, which is well served with flights from London and a range of UK regional airports. Our inclusive packages cover your airport transfers, friendly, comfortable half-board accommodation and the support of our team, on hand to assist you with your choice of walking routes and providing drop offs and pick ups. 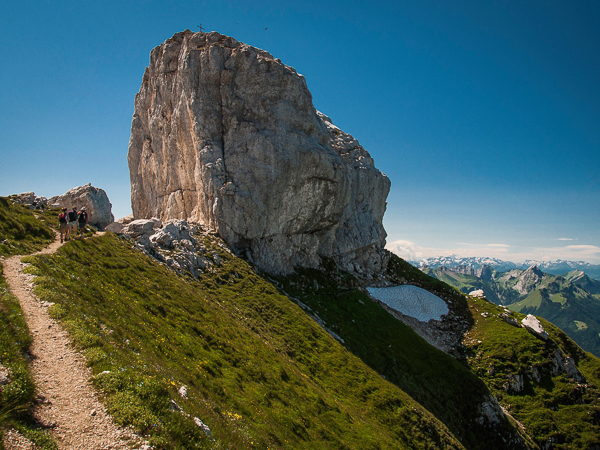 We have been based in the Aravis for 15 years and know the trails and hills inside out – so you can be sure that we will match routes to your experience. A very wide range of walks are possible, covering all ability levels and allowing anyone with a bit of fitness to experience the exhilaration of hiking spectacular Alpine walking country. 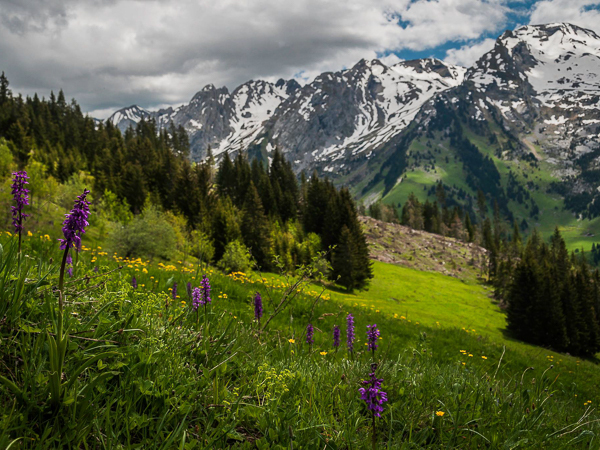 Walk Weekender’s home base is in the beautiful Aravis region of the French Alps. The Aravis is a true hidden gem; close to Geneva, easy to access but still unspoiled by the major development of purpose-built resorts found in other parts of the Alps. You can walk through villages of traditional wooden chalets, up through pasture and meadows with the sound of cowbells all around, and then onwards onto shepherds’ trails and up goat paths to towering limestone summits. And as if that weren’t enough, the stunning sights of Annecy are just down the road, with easy access via the local bus, where you’ll find a mediaeval old town, parks by the lakeside and shaded paths leading along the shores. It really is one of the most beautiful locations to visit in France. For walking clubs and groups of 6 or more, we’re also able to arrange fully customised holidays and breaks longer than a weekend. These are possible both in the Aravis / Annecy region, and further afield in the South of France and Provence. If you want to explore the pine forests and vineyards around Mont Ventoux, the famous lavender fields and orchards of the Luberon, or the secluded cork-oak Massif des Maures above the Côte d’Azur, we can make it happen. We regularly run road cycling holidays to these regions as Bike Weekender, so have all the knowledge and contacts needed to arrange an amazing trip around our regular bases at Bédoin, below Mont Ventoux, and le Lavandou on the Mediterranean coast. Our walking holidays give you full support – we’re around to assist throughout your stay – but you will be walking and navigating independently. Our team will help with walk choice, provide maps and route information and talk you through all aspects of each day’s walking; what to expect, how to find your way… and the best picnic spots and cafés! Depending on the routes you choose, you’ll either walk out the door of your base, or we’ll use our minibuses to drop you out in the morning and will then meet you at the end of the day – perhaps for a celebratory drink on a sunny terrace! You benefit from the flexibility to walk at your own pace, choose your own walking routes, challenge and difficulty – all with the back-up, support and local knowledge of an established operator at a great value price. friendly, personal service and you have all the elements for the perfect Active Relaxation holiday. 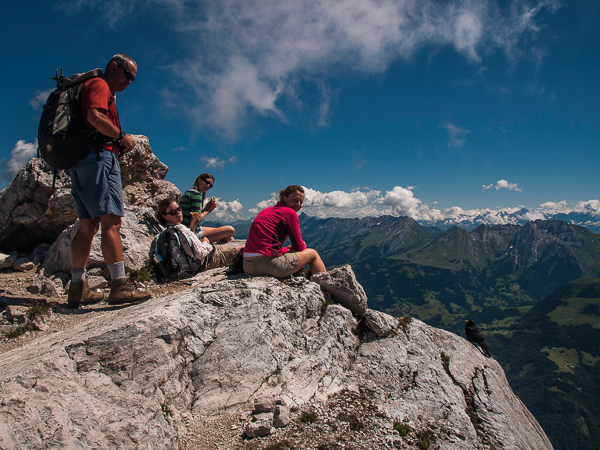 Looking for a Short Alpine Walking Weekend?